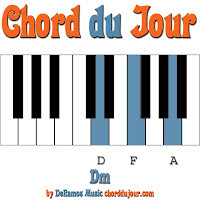 Chord du Jour: Inspiration: "Imagine"
I'm probably missing some chords. Try to figure out the correct progressions (use your ears! ); otherwise, Google can be your friend and tell you which sites have some transcriptions (of varying accuracy). When it's finally set up, you can look up various chords at our reference section.